It is hard to believe that just 11 weeks ago, our little family welcomed it's fifth member. 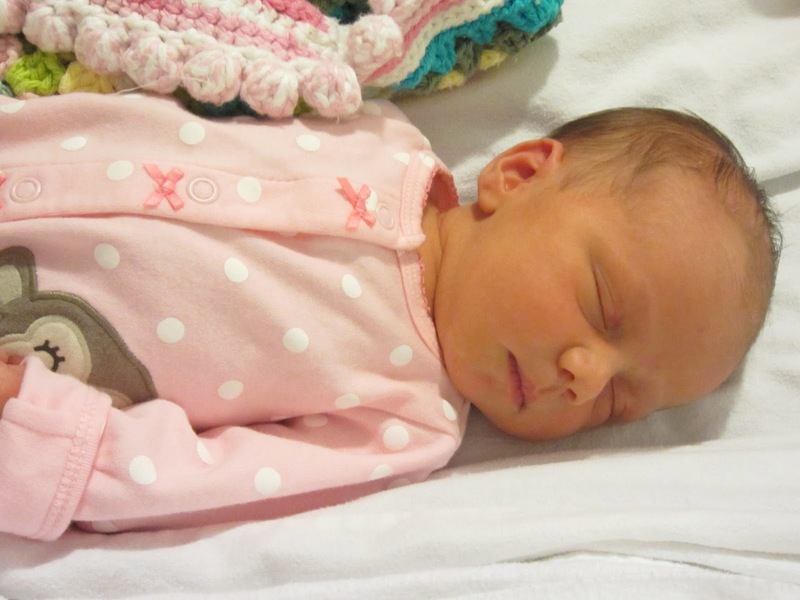 Cassidy Jean joined our world at 4:06am on April 9th, weighing in at 6 pounds 10 ounces. It seems every time I blink another week has gone by! Well, it has been really bothering me that this little record I've been keeping has been neglected, thereby sorely lacking in reflecting the beginnings of my baby girl - a classic third child move! Here is our beautiful, smiley babe who (so far) sleeps like a champ, has awesome chubby cheeks and is oh so tolerant of face squishing, and noise. Sweet! She'll be happy some day that you remembered her today! She is adorable -- and obviously carries some of the best Dennis traits, too! So adorable Janie! Welcome Cassidy Jean!! Blessings to the whole crew!